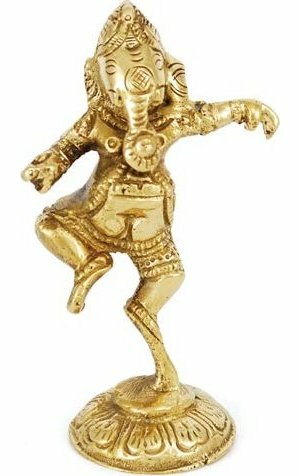 This small statue depicts the elephant -headed, Hindu god Ganesh. The remover of obstacles, as he is known, is a god of wisdom and blessings revered by many. Rated 4 out of 5 from 1 reviews. A sturdy little statue perfect for altar placement or even decoration. It's size great for the altar and doesn't get in the way of other items. Some of the etchings were a little rough, but not enough to really take away from the beauty of this statue. Let Lord Ganesha remove the obstacles from your life.